Speaking of President Donald Trump and the Supreme Court, it is said and it is very true that the greatest legacy a U.S. President can record is an appointment to the U.S. Supreme Court. Trump has had two in the first two years. Regardless of what transpires in the next two years of Trump’s reign, from conservative Americans viewpoint, this presidency has been a success. Steve Flowers is Alabama’s leading political columnist. 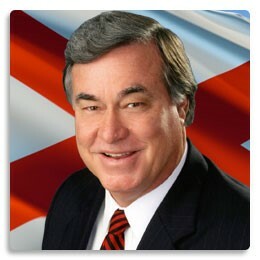 His weekly column appears in over 60 Alabama newspapers. He served 16 years in the state legislature. Steve may be reached at, www.steveflowers.us.